A mix of peanuts and flame raisins. 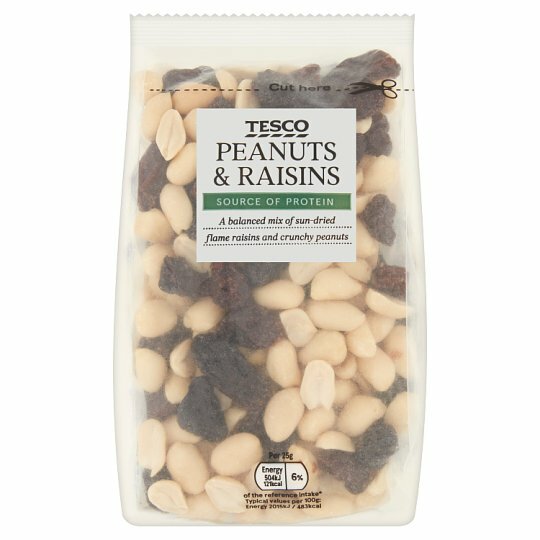 INGREDIENTS: Peanuts (60%), Flame Raisins (39%), Sunflower Oil. May contain other nuts, sesame seeds and wheat. Wheat contains gluten. For allergens, see ingredients in bold. Once opened, reseal using the tab provided and consume within 1 month and by date shown.